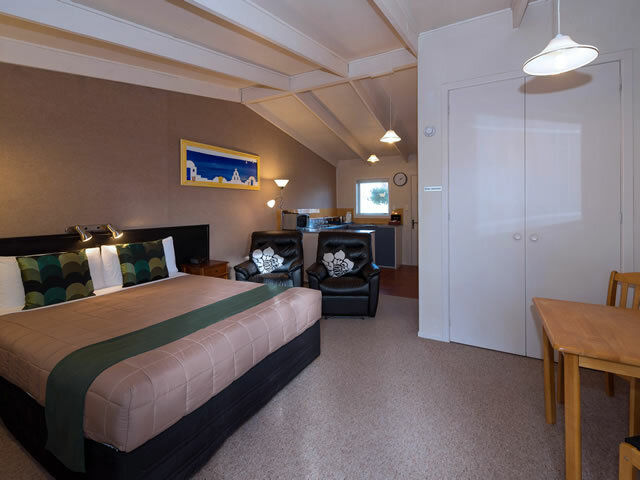 Spacious, geo-thermally heated, sunny Rotorua apartments set in our semi-tropical gardens by the mineral pool. 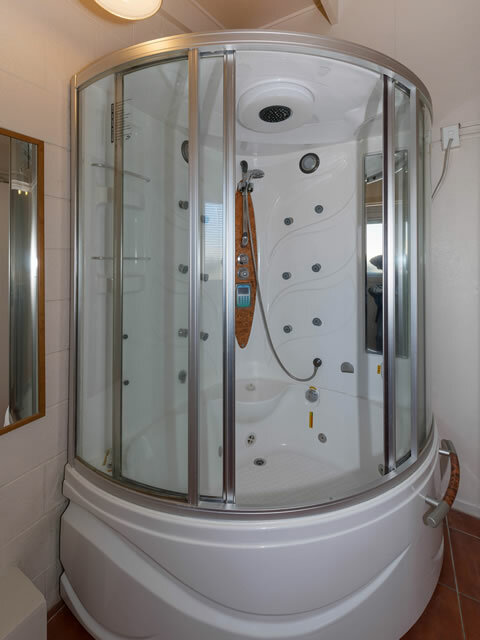 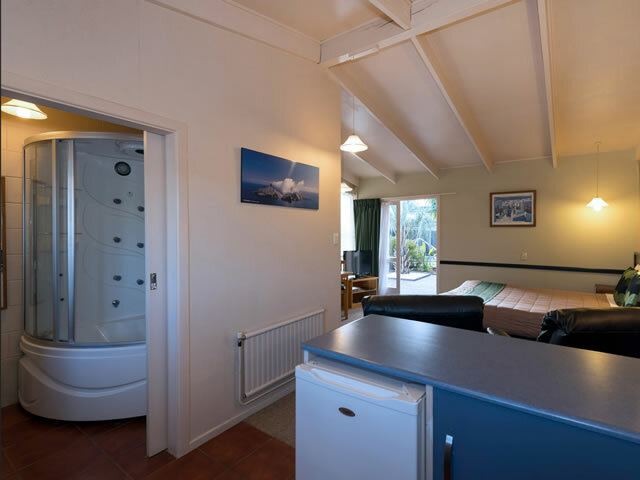 Self-contained, with massage shower/spa, vanity and toilet, Comes with a Queen bed, reclining armchairs, 32" LED TV with 10 SKY channels and a DVD player, plus kitchenette with 2 hot-plates, microwave and under counter fridge/freezer. 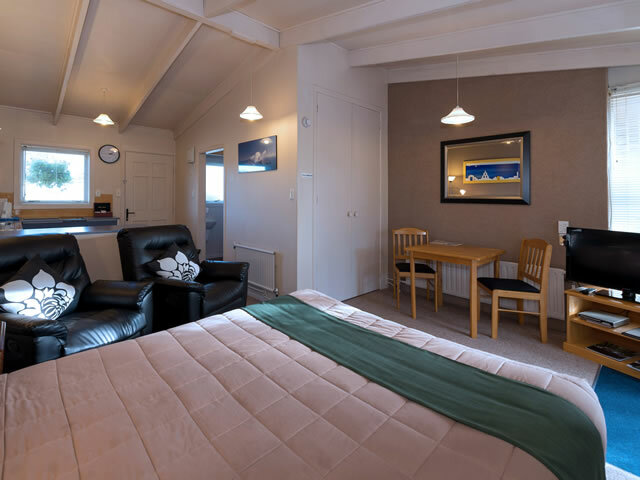 Ground-floor, non-smoking apartments with outside table & chairs, and off-street parking by the door.